On Jan. 15, 1919, a tank of molasses stored in Boston’s North End, ruptured, sending a cascading wave of the thick, sugary syrup down the streets. 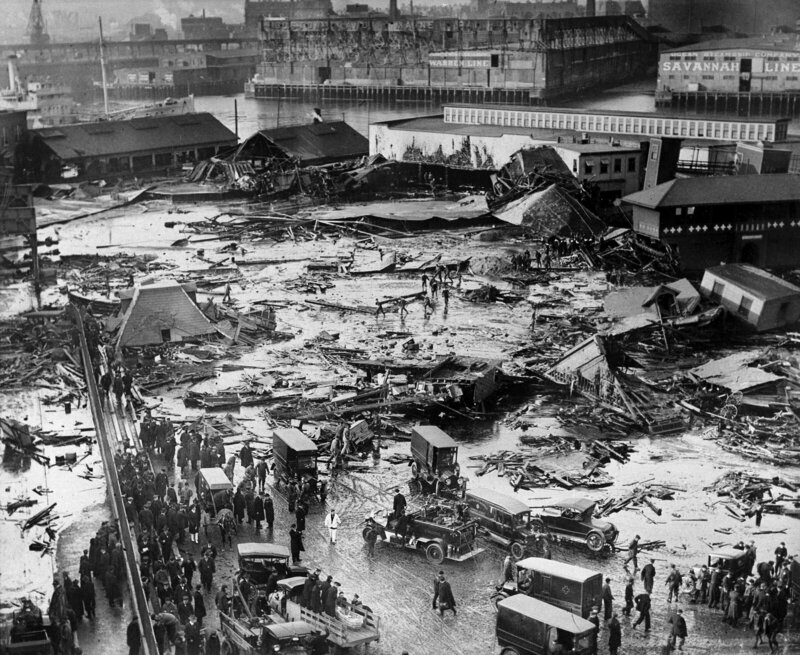 This “Great Molasses Flood” killed 21 people, numerous animals, and injured 150. There were signs that the tank was faltering, but the people of the North End had gotten used to its instability. So on the day of the flood, despite leaks and groans, no one anticipated that the tank was about to burst, unleashing a wave of 2.3 million gallons of molasses that would move 35 miles an hour down Commercial Street. While we don’t have any hard and fast answers as to why the tank failed, a number of theories and facts have come to light. One of the first rumors to be circulated was that an anarchist’s bomb had broke the tank open, but no proof has ever been found to verify that rumor–which, admittedly, was largely fear-based and shows the effects of the First World War on people’s consciousness at the time. More recent investigations suggest several fundamental problems with the structure of the tank. Designed to hold 2.5 million gallons of liquid, it measured 50 feet tall and 90 feet in diameter. But its steel walls, which ranged from 0.67 inches at the bottom to 0.31 inches at the top, were too thin to support the weight of a full tank of molasses, found a 2014 analysis by Ronald Mayville, a senior structural engineer in the Massachusetts consulting firm of Simpson, Gumpertz & Heger. Temperature also had an effect on the tank. A new shipment of molasses had arrived days before, and that liquid was warmer than the air outside. The weight of the molasses as it hardened further strained the walls of the tank. Apparently, when the company received complaints that the tank was leaking, it painted the tank brown to disguise the leaks rather than repair them. As it roiled down the street, the hot molasses congealed, trapping people, cars, trolleys, and everything else in its path. Researchers from the University of Massachusetts Boston recently used ground-penetrating radar to determine the location of the giant molasses tank that caused the Great Molasses Flood of 1919. Today, colored flags marked the site of the tank as city officials and history buffs gathered at Langone Park in the North End to mark the 100th anniversary of the disaster. Looking to learn more about the Great Molasses Flood of 1919? Check out these books! Dark Tide: The Great Boston Molasses Flood of 1919: Probably the best known (at least ’round these parts) book about the Great Molasses Flood, reporter Stephen Puleo brings readers into the world of Boston at the time, and makes the smallest details of the date come to live. But, as he also points out, the molasses flood was more than an isolated event. Its story overlays America’s story during a tumultuous decade in our history. Tracing the era from the tank’s construction in 1915 through the multiyear lawsuit that followed the tragedy, Dark Tide uses the drama of the flood to examine the sweeping changes brought about by World War I, Prohibition, the Anarchist movement, the Red Scare, immigration, and the role of big business in society. Puleo is a friend of the Peabody Library, so we love to promote his super-terrific text. The Great Molasses Flood : Boston, 1919: Written for a younger audience, Deborah Kops’ book places the Molasses Flood in its historical context with fascinating results. She discusses the influenza epidemic that embroiled the city, as well as the recently ended First World War. As she notes, January 1919 was a hopeful time. Schools had reopened. So had the soda fountains, where kids went to buy Cokes. 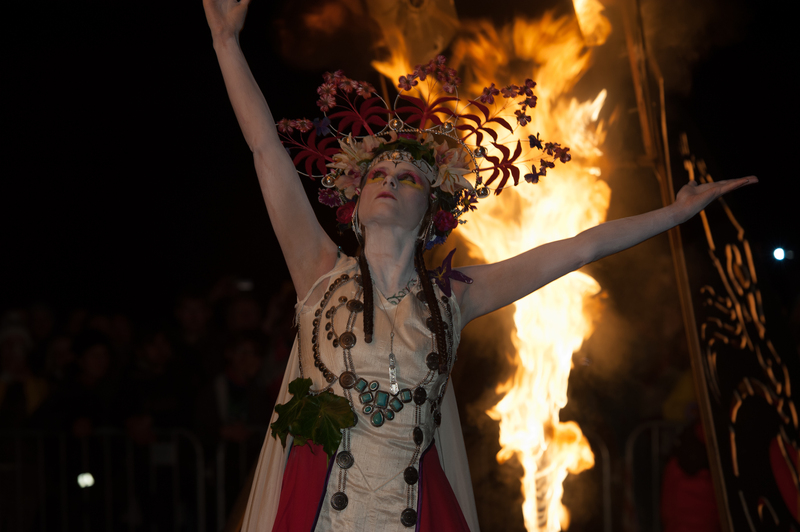 On New Year’s Eve tens of thousands of cheering, singing Bostonians gathered to ring in the new year. They jammed the city’s cafés and hotels and overflowed into the streets. Everyone seemed thrilled that life in this old port city was returning to normal. But the molasses flood would change the mood and focus of the city, and have repercussions that would linger for decades to come. A Head Full of Ghosts: Paul Tremblay’s book isn’t really about the molasses flood, which should be fairly evident from the book’s description, but it does incorporate it into the plot. Marjorie Barrett, the focus of the book, is a story teller, who understands the power of narrative to shape our ways of thinking. One of the first ways that we learn this is in her rendition of the molasses flood–a horribly visceral telling that names one of the real-life victims of the disaster, and portends the terrible events of the book that will unfold. If you want to talk about the power of history to terrify even today, then don’t miss this pitch-perfect novel! On this warm day, we bring you a post that ran last year, dealing with the treacherous nature of summer weather and how bad it could really be. We hope you enjoy this trip down memory lane! …It seems this year, dear patrons, summer is holding out on us. Today’s temperature is hovering near records lows, and it’s a bit…well…murky. The year of 1816 is known as “The Year Without A Summer“. This was largely due to global climactic abnormalities both caused and exacerbated by the eruption of Mount Tambora, on the island of Sumbawa in what is today Indonesia. The eruption remains one of the most powerful eruptions in recorded history, and the only VEI-7 event witnessed (that means it’s super-colossal big). The ash from that explosion was trapped in the Earth’s atmosphere, and spread around the globe, causing massive temperature drops (since sunlight could not penetrate the ash cover). Since the Earth was already experiencing what is now know as the “Little Ice Age”, this means that temperatures that were already lower than average plummeted, causing continental-wide harvest failures, and what Historian John D. Post has called the “the last great subsistence crisis in the Western world”. We’re talking freezing temperatures here, snow in June (actually, on June 6th, according to historic records). In the Berkshires, there was frost in August. There were also wild temperature swings–areas of Pennsylvania recorded temperatures in the nineties in August, only to be below freezing three days later. The result was widespread famine in Europe, especially in Ireland, north England, and Germany. The lack of oats to feed horses may have inspired the German inventor Karl Drais to research new ways of horseless transportation, which led to the invention of the velocipede, which was an early version of what we now know as the bicycle. And because there was so much rain that summer, Percy Shelley and his wife Mary were forced to stay in doors during their holidays in Lake Geneva, which they spent with Lord Byron and Dr. Polidori. That was the trip during which Mary Shelley first told the story that would become Frankenstein. Now, I’m not saying that you or I are going to use these chilly damp days (which are nothing compared to the Year Without A Summer, if we’re all being serious here for a second*) to invent a machine that will revolutionize human transport, or create a work of art that will redefine humanity. But you might want to come into the Library and check out one of these books that focus on The Year Without A Summer. You never know the effects it might have! Tambora : the eruption that changed the world: There are a number of books that look at Tambora and its effects, but Gillen D’Arcy Wood’s book looks at the eruption itself, and the global catastrophes it caused, but also brings the story forward, utilizing modern climate science to talk about manmade climate change in our own time. Another quality selection is William Klingaman’s The year without summer : 1816 and the volcano that darkened the world and changed history, which emphasizes the social, cultural, and political changes wrought by the effects of the Tambora eruption. The poet and the vampyre : the curse of Byron and the birth of literature’s greatest monsters: Though Frankenstein is probably the most well-known work to emerge from that infamous trip to Lake Geneva, it should not be forgotten that Byron’s physician-friend, John Polidori, also wrote what we generally assume to be the first vampire tale, called “The Vampyre”. It was mostly a send-up of Byron, which whom Polidori was very, very miffed, but still. Without Polidori, we;d never have Dracula. 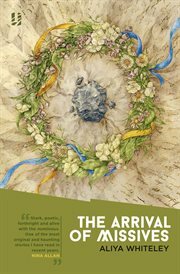 In this weirdly wonderful book, Andrew McConnell Stott looks at the love affairs, literary rivalries, and the supernatural influences that combined and collided to bring Percy and Mary Shelley, Byron, and Polidori to Geneva, and the effects of their meeting on world literature to this very day. To Charm a Naughty Countess: Just to lighten the mood a bit…Theresa Romain’s novel is set during the summer of 1816, and features Michael, Duke of Wyverne, who is desperately trying to save his estate from financial ruin after another abysmal harvest. The simplest course of action is to marry, but for someone as anxious and socially awkward as Michael, the prospect seems deem, until the widowed Countess of Stratton decides to take him under her wing. This is an all around delightful romance, featuring a decidedly un-alpha hero and a heroine who defies all conventions, and comes highly recommended, regardless of its time-setting. *And just for the record, this event is a meteorological/climatological phenomenon that has nothing to do with global warming. Indeed, the process of global warming would begin in earnest about a decade after this summer with the escalation of the Industrial Revolution. Just so we don’t get confused here. With social media, the line has grown in popularity and prevalence, so for those fans out there, May The Fourth Be With You. May 5: Free Comic Book Day! For more information, check out the Free Comic Book Day website, and follow the #FreeComicBookDay! May 6: National Lemonade Day: Started in 2007, this is a day aimed at teaching young people how to start, own and operate their very own business via a lemonade stand. For more information, check out lemonadeday.org! May 12: National Miniature Golf Day: Tee up, and learn more about other devotees of everyone’s real favorite sport via #NationalMiniGolfDay. May 21: National American Red Cross Founder’s Day: Marking the the anniversary of the American Red Cross, which was founded in 1881 by Clara Barton. May 25: National Tap Dance Day: Honoring the birthday of Bill “Bojangles” Robinson, this is a perfect day to get your dancing shoes polished and ready to go!